Swarovski Hotfix crystals are coated on the back with a heat activated adhesive. The glue is activated by heating either with a purpose made applicator or an iron. As seen on Channel 4 Program This old Thing: The Vintage Clothes Show. Read more about Hotfix application in our hints and tips section here. 100 Swarovski Crystal Hotfix Swarovski Crystal Amethyst Foiled SS16 (4mm) Article 2028Swarovski Hotf..
100 Swarovski Crystal Hotfix Swarovski Crystal Copper Foiled SS10 (2.8mm) Article 2028Swarovski Hotf..
100 Swarovski Crystal Hotfix Swarovski Crystal Pearl Creamrose Foiled SS16 (4mm) Article 2080/4Swaro..
100 Swarovski Crystal Hotfix Swarovski Crystal Light Amethyst Foiled SS16 (4mm) Article 2028Swarovsk..
100 Swarovski Crystal Hotfix Swarovski Crystal Citrine Foiled SS10 (2.8mm) Article 2028 Swarovski H..
100 Swarovski Crystal Hotfix Swarovski Crystal Pearl White Foiled SS10 (2.8mm) Article 2080/4Swarovs..
100 Swarovski Crystal Hotfix Swarovski Crystal Sapphire Foiled SS16 (4mm) Article 2028Swarovski Hotf..
100 Swarovski Crystal Hotfix Swarovski Crystal Clear Foiled SS16 (4mm) Article 2028Swarovski Hotfix ..
100 Swarovski Crystal Hotfix Swarovski Crystal Jet Foiled SS10 (2.8mm) Article 2028Swarovski Hotfix ..
100 Swarovski Crystal Hotfix Swarovski Crystal Aquamarine Foiled SS16 (4mm) Article 2028 Swarovski ..
100 Swarovski Crystal Hotfix Swarovski Crystal Siam Foiled SS10 (2.8mm) Article 2028Swarovski Hotfix..
100 Swarovski Crystal Hotfix Swarovski Crystal Peridot Foiled SS16 (4mm) Article 2028Swarovski Hotfi..
100 Swarovski Crystal Hotfix Swarovski Crystal Padparadscha Foiled SS10 (2.8mm) Article 2028Swarovsk..
100 Swarovski Crystal Hotfix Swarovski Crystal Olivine Foiled SS16 (4mm) Article 2028Swarovski Hotfi..
100 Swarovski Crystal Hotfix Swarovski Crystal Fuchsia Foiled SS10 (2.8mm) Article 2028Swarovski Hot..
100 Swarovski Crystal Hotfix Swarovski Crystal Metallic Gold Foiled SS16 (4mm) Article 2028Swarovski..
1 Sheet Mylar Hotfix Transfer Paper approx 20 x 30cm. 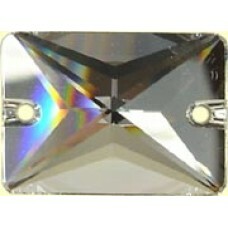 Mylar paper is heat resistive transparent and ..
100 Swarovski Crystal Hotfix Swarovski Crystal Light Rose Foiled SS10 (2.8mm) Article 2028Swarovski ..
100 Swarovski Crystal Hotfix Swarovski Crystal mocca Foiled SS16 (4mm) Article 2028Swarovski Hotfix ..
100 Swarovski Crystal Hotfix Swarovski Crystal Clear Unfoiled SS16 (4mm) Article 2028Swarovski Hotfi..
100 Swarovski Crystal Hotfix Swarovski Crystal Purple Velvet Foiled SS10 (2.8mm) Article 2028 Swaro..
100 Swarovski Crystal Hotfix Swarovski Crystal Copper Foiled SS16 (4mm) Article 2028 Swarovski Hotf..
100 Swarovski Crystal Hotfix Swarovski Crystal Clear Foiled SS12 (3mm) Article 2028 Swarovski Hotfi..
100 Swarovski Crystal Hotfix Swarovski Crystal Amethyst Foiled SS10 (2.8mm) Article 2028Swarovski Ho..
100 Swarovski Crystal Hotfix Swarovski Crystal Citrine Foiled SS16 (4mm) Article 2028 Swarovski Hot..
100 Swarovski Crystal Hotfix Swarovski Crystal Pearl White Foiled SS16 (4mm) Article 2080/4Swarovski..
100 Swarovski Crystal Hotfix Swarovski Crystal Light Amethyst Foiled SS10 (2.8mm) Article 2028Swarov..
100 Swarovski Crystal Hotfix Swarovski Crystal Clear Foiled SS20 (5mm) Article 2028 Swarovski Hotfi..
100 Swarovski Crystal Hotfix Swarovski Crystal Jet Foiled SS16 (4mm) Article 2028Swarovski Hotfix cr..
100 Swarovski Crystal Hotfix Swarovski Crystal Sapphire Foiled SS10 (2.8mm) Article 2028 Swarovski ..
100 Swarovski Crystal Hotfix Swarovski Crystal Clear Foiled SS10 (2.8mm) Article 2028Swarovski is sy..
100 Swarovski Crystal Hotfix Swarovski Crystal Siam Foiled SS16 (4mm) Article 2028Swarovski Hotfix c..
100 Swarovski Crystal Hotfix Swarovski Crystal Aquamarine Foiled SS10 (2.8mm) Article 2028 Swarovsk..
100 Swarovski Crystal Hotfix Swarovski Crystal Padparadscha Foiled SS16 (4mm) Article 2028Swarovski ..
100 Swarovski Crystal Hotfix Swarovski Crystal Peridot Foiled SS10 (2.8mm) Article 2028Swarovski Hot..
100 Swarovski Crystal Hotfix Swarovski Crystal Fuchsia Foiled SS16 (4mm) Article 2028Swarovski Hotfi..
100 Swarovski Crystal Hotfix Swarovski Crystal Olivine Foiled SS10 (2.8mm) Article 2028Swarovski Hot.. 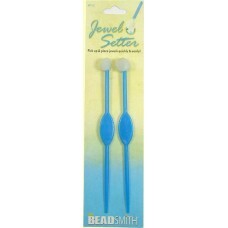 Pack of two Jewel setters for flat backs and hotfix. Touch the beeswax end to the crystal to pick up..
100 Swarovski Crystal Hotfix Swarovski Crystal Light Rose Foiled SS16 (4mm) Article 2028Swarovski Ho..
100 Swarovski Crystal Hotfix Swarovski Crystal Metallic Gold Foiled SS10 (2.8mm) Article 2028 Swaro..
Additional 12SS tip for all Kandi Corp hotfix applicator wands. The standard kit does not include a ..
100 Swarovski Crystal Hotfix Swarovski Crystal Purple Velvet Foiled SS16 (4mm) Article 2028Swarovski..
100 Swarovski Crystal Hotfix Swarovski Crystal mocca Foiled SS10 (2.8mm) Article 2028Swarovski Hotfi..
100 Swarovski Crystal Hotfix Swarovski Crystal Clear Unfoilled SS10 (4mm) Article 2028. This item ha..